‘Find Us Outside’ Nature Immersion Program is Hosting an Art & Adventure Event at the Franc Preserve in Bethel, CT on four days: April 6th, 13th, 20th and May 4th, 10AM to 11:30AM each day. WHEN: April 6th, 13th, 20th and May 4th, 10AM to 11:30AM. The emphasis during this four-week class for ages 4 – 12 is on the exploration of nature through creative projects each day. 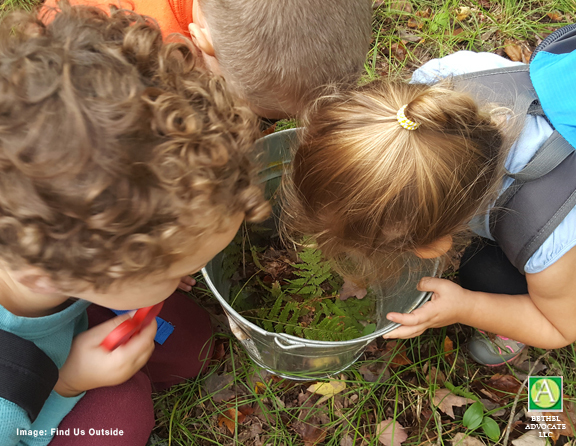 While we hike, children will explore the connection between art and nature as they discover and journal about the patterns, textures, shapes and colors that they observe. Children will also be introduced to the idea of natural illustrations and the role they play in science.